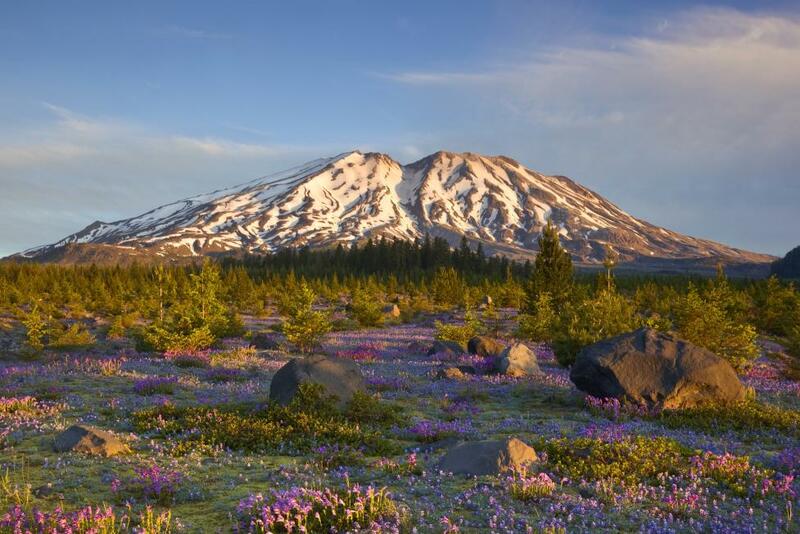 While you may think skiing and snowshoeing when you hear the word ‘mountain’, Mount St. Helens offers many summer and fall activities with breathtaking views. Just an hour and a half drive north of Vancouver USA, the volcano has hiking adventures and observatories for experiencing the signature Southwest Washington landmark. The Johnston Ridge Observatory, located at the end of State Highway 504, provides information about the historic 1980 eruption and is open from mid-May through October. It is one of the closest viewing areas on the North side of Mt. St. Helens and rangers are present to share their knowledge. Harry’s Ridge, an eight-mile roundtrip hike, leaves from the observatory and gives you a direct look into the mouth of the crater. Mount St. Helens boasts more than 200 miles of trails, marked by gorgeous summer wildflowers, young forests, new lakes, and an intriguing landscape that forms the volcanic crater. Hikes of all lengths and difficulties can be found, and even one underground at the Ape Caves. Perfect for a hot summer day, temperatures remain 42 degrees in the caves regardless of the weather outside. Try Lava Canyon for a moderately difficult trek through post-eruption waterfalls and across a 125-foot suspension bridge, or test out the 11-mile Goat Mountain trail offering views of Mount Margaret backcountry and huckleberry meadows. Climbing permits are required to get to the top between April 1 and October 31. While you don’t have to be a technical climber, summiting requires miles of trekking through boulder fields and ash climbing. The summer route starts at Climber’s Bivouac trailhead and can take eight to 11 hours. If you backcountry enthusiasts are looking for an extreme challenge, try the 28-mile Loowit Trail that circumnavigates the volcano. Most ambitious backpackers allow three days to complete the entire trail. Visit our Mt. St. Helens webpage for other seasonal adventures.